Just a few streets from the cut and thrust of Peckham's Rye Lane, sandwiched between a carpenter and music studio, you'll find a couple bringing the 1,300 year old art of Japanese sake brewing to London. They call themselves Kanpai, and in this tiny industrial unit inside the Print Village, they are, perhaps, making booze history. 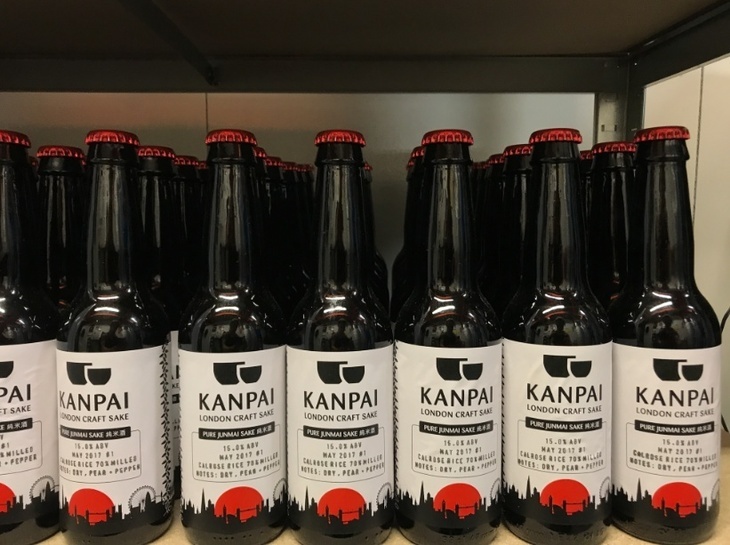 We believe Kanpai Sake is London's first sake brewery, and it's quite possibly the first in the UK too. The Isle of Arran brewery came close in 2016, but pulled the plug after a series of challenges that included repeated vandalism to the site. Tom and Lucy met in a Farringdon tiki bar, about six and a half years ago. Memories of the night are filtered through the alcoholic haze, but it was indeed the beginning of something special — the couple recently tied the knot, serving their own sake at the wedding. Their first taste of sake came during a trip to Shibuya, where it was served with a side of yakitori sticks. It made an impression and their first tiny home brew batch followed a few months later. This was made using a combination of plain table rice, a koji kit bought online, and optimism. Many have tried to home brew sake, and many have failed miserably. The result was 17% ABV and "surprisingly not terrible", inspiring them to try again. "The only reason that the brewery exists today is because the first batch was quite good," Tom confides. Various subsequent batches were not quite so good, but the couple soldiered on, refining their technique over the months and years. The pair moved to Peckham, inspired by the thriving start up scene and creative and supportive local community. Lucy, who's from Norwich, works in science communication for a research funding body by day, and Tom, from Portsmouth, works in marketing for an asset management company. 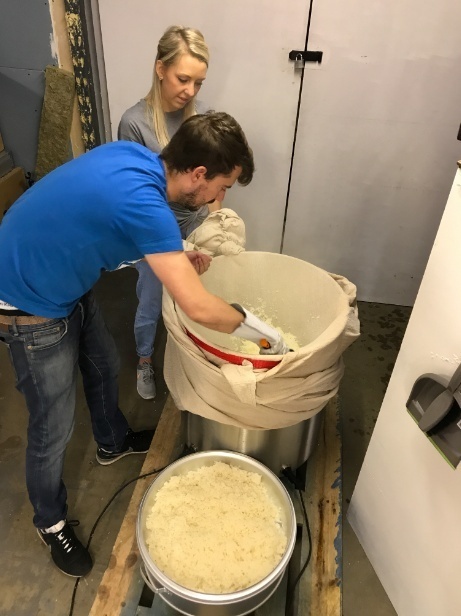 They balance sake brewing with their day jobs by working to a strict schedule that sees them in the brewery on weekends, bank holidays and evenings after work. 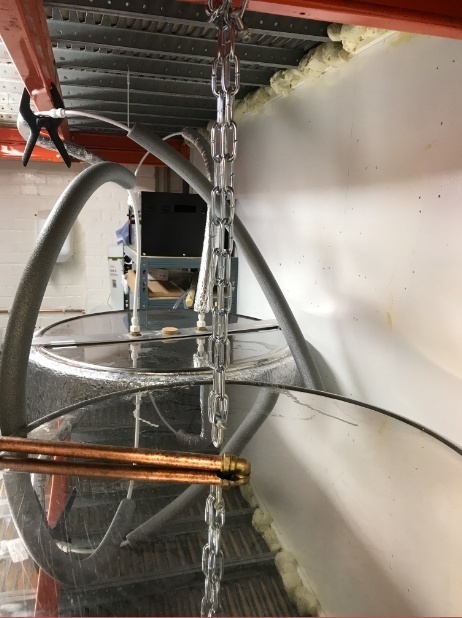 The process can be quite stressful — the couple have rigged an alarm system that alerts them any time the brew digresses from the right temperature range. They describe it as "like having a newborn baby" and, like a newborn, it has woken them up in the dead of night more than a few times. Yet, despite these challenges, there's probably a good reason that Kanpai is still here today. Though a financial marketer by trade, Tom has a respectable home brew pedigree. For over eight years, he's been brewing beer with friends, motivated by "the sense of satisfaction you get from doing something yourself and by hand". A useful background, as sake is brewed in a process not entirely dissimilar to beer. For a few years after that first batch, Tom and Lucy refined their technique, making sake for friends and parties, eventually dedicating the spare room to brewing. It was at the end of 2016, during Christmas dinner with Lucy's parents in Norfolk — sake, turkey and all the trimmings — that they decided to think bigger. Two months later they'd rented the unit in Peckham, and here we are today. But what does Kanpai taste like? They're aiming for a 'big and bold' style — Tom believes that people in the UK tend towards full bodied wines and hoppy beers. Kanpai's style is quite distinctive, very obviously sake, but unlike any of the more orthodox Japanese ones we've tasted before. A common myth that Kanpai (or anyone trying to sell sake) faces is that sake is 'really strong' (i.e. high in alcohol content), or really harsh (i.e. it burns your mouth). As many people discover, this isn't necessarily the case. For a start, sake ABV typically ranges between 15-20% (about the strength of a fortified wine such as port). As for flavour? Sake ranges from subtle and almost impossibly delicate, all the way to the deep, warm and earthy. With sake, you're won't get the palate searing experience of a spirit such as vodka or gin. We thought Kanpai's first batch of nigori was quite delicious, tasting like banana and papaya. Of course, taste is entirely subjective so what you really need to do is try it. But how? At the time of writing you can find their products in Selfridges, and Hop Burns & Black in Peckham. Fluctuations in the supply of ingredients means that, like a lot of craft producers, Kanpai focus on novelty rather than consistency. Their plan is to produce a core range of two styles; Junmai (clear and light) and Nigori (cloudy and unfiltered) and then lots of smaller experimental batches, much like many craft breweries. One of the bi-products of sake is the 'kasu', basically the solid bits left at the end. It was given to fellow Peckham brewers, Brick Brewery, who used it as a starter to create a 'sake beer' — another thing that, as far as we're aware, hasn't been done elsewhere in London. The collaboration worked so well that there's a plan to do it again. Naturally, we want to know what it’s like to work with someone so close to you. They describe it as incredible but "not all rosy". There's been the occasional argument, but nothing, asides from free time to dedicate to the project, really seems to be impeding their progress. That future looks bright for Kanpai. They ran a successful crowdfunding campaign that raised £12,975, and the release of their first 'commercial' batch appears to be going down well, judging by sales figures. There are plans rent a larger unit, which will give them more space to move and the capacity to make more sake. 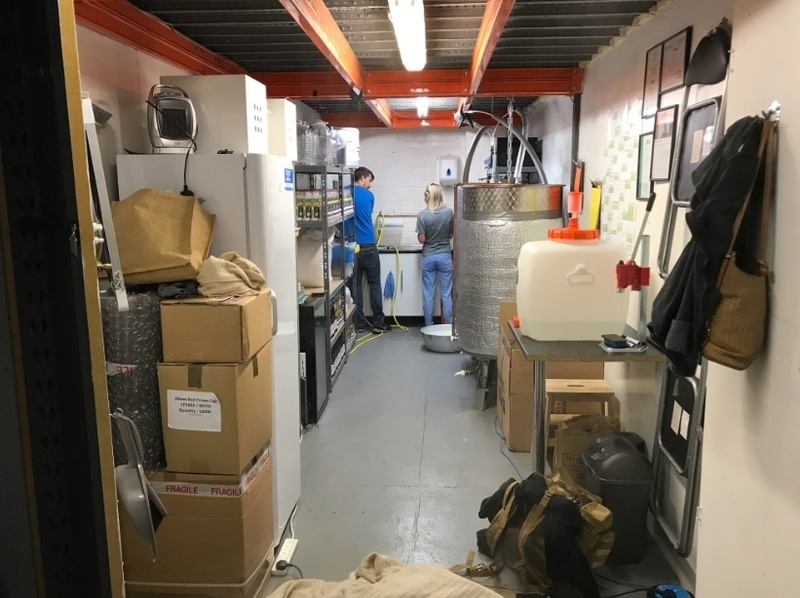 If the UK (or London) ever ends up as a sake producer of any note, people may very well say that it started in 2017 with Tom and Lucy in this little industrial unit, hidden away in Peckham. Find out more on the Kanpai website.